Some people buy a house for its investment potential, and others buy a house to raise their family in a private, comfortable and safe environment. No matter your specific reasons for buying a home, we are here to help you find the one you want. RE/MAX Real Estate of Spokane specializes in helping you find and buy a Spokane home for sale that is perfect for you. If you are looking to buy a home, enlist the help of a team of real estate agents who know the local area like the back of their hands, and who make buying a home easy. Most of all, make sure you choose dedicate real estate agents who put their all into making sure you buy a home that fits your family and needs perfectly. If you are ready to buy a home, there are several steps to take in order to help make the home buying process smooth and successful. We have compiled the main steps to buying a house here for you. 1. Check your credit score. This is the most important of all steps to buying a house, since many people cannot afford to buy a house up front. Your credit score affects your ability to get a mortgage or home loan, as well as the interest rate of the mortgage or home loan you qualify for. It is important to make sure your credit report is accurate, as any inaccuracies can significantly impact buying a home. 2. Figure out a target amount. The second most important of all steps for buying a home is figuring out what mortgage or home loan payment you can afford. Be sure to account for closing costs, inspections, and remodeling or decorating. Some loans make buying a home easy by requiring little or no money down, so be sure to check with a home loan expert to help you find the best option. ​3. Choose the right realtor. You have many choices when choosing a realtor, so it is important to choose wisely. Honestly, of all the steps to buying a home, this one can make or break the entire home buying process. Be sure to choose a realtor who has a stellar reputation for helping clients find and buy a house without any hassles. ​4. Choose a home and make an offer. Once you have an idea of the type of mortgage you will quality for, and the right realtor secured, it is time to go home shopping. 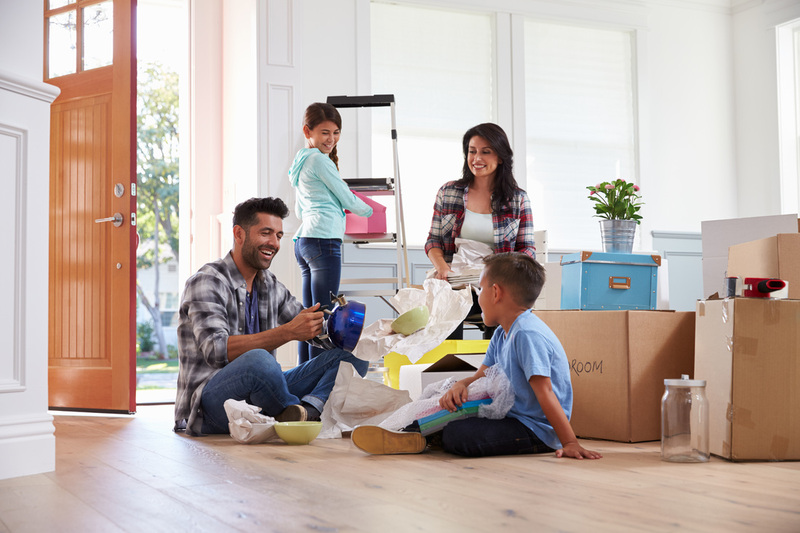 Be sure to study the neighborhood dynamics including schools, shopping, distance from your work, and other variables to determine you and your family’s long-term happiness. Once you have found the home you want, your realtor can help you make an offer, and negotiate any counter offers the home seller provides. This is where having an experienced realtor can really come in handy, because she or he knows the market and therefore, where a realistic middle ground exists between what you want to pay and what the seller will accept. 5. Get your mortgage. In one of the steps to buying a house above, you should have already met with a lending expert to determine what kind of mortgage or home loan you quality for. Once a price has been set, it is time to secure the funds. The two main types of mortgages are Adjustable Rate and Fixed Rate. Be sure to understand all of the terms each loan type carries with it, and what protections you are afforded. Some include “Interest Only Payment” options to help you in times of hardship. This allows you to make a payment on the home loan interest, instead of a larger payment covering the principal amount as well. 6. Close on your home. Of all the steps for buying a home, this is the second most exciting, in our opinion at least. Closing on buying a house may include a home inspection to ensure the property’s structural soundness and overall condition, as well as costs associated with the down payment, title and appraisal fee. Ask your realtor to provide insight into navigating a closing, because we have a lot of experience with this process. 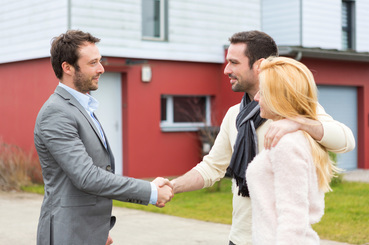 First time home buyers are experiencing a fundamental tenet of the American dream. They are also some of the most fun people to work for, because of the excitement they experience when the time comes to finally buy a home to call their own. This is why we absolutely love helping first time home buyers secure the perfect living space. 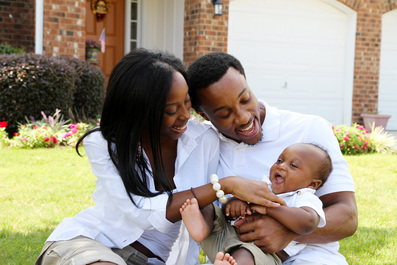 We understand that being first time home buyers can be an intimidating experience. It is extremely important for first time home buyers to choose a realtor who is supportive and compassionate throughout all the steps to buying a home. It is also important to choose a team of real estate agents that knows the nuances and specificities of the local real estate scene. This way, first time home buyers leave nothing to chance, and make buying a house easily attainable from the get go!